The HUP is NOT amphibious! (an ORIGINAL World War II photo in the Colin Stevens Collection. Unfortunately I do not know where it was taken, possibly in 1944 during D-Day waterproofing training? Canada? UK? N.W. Europe? F8 Cab 12 1941 Long Box of the 2nd Battalion, Seaforth Highlanders of Canada, circa 1944, unloading a 3-inch Mortar during training in British Columbia., Canada. 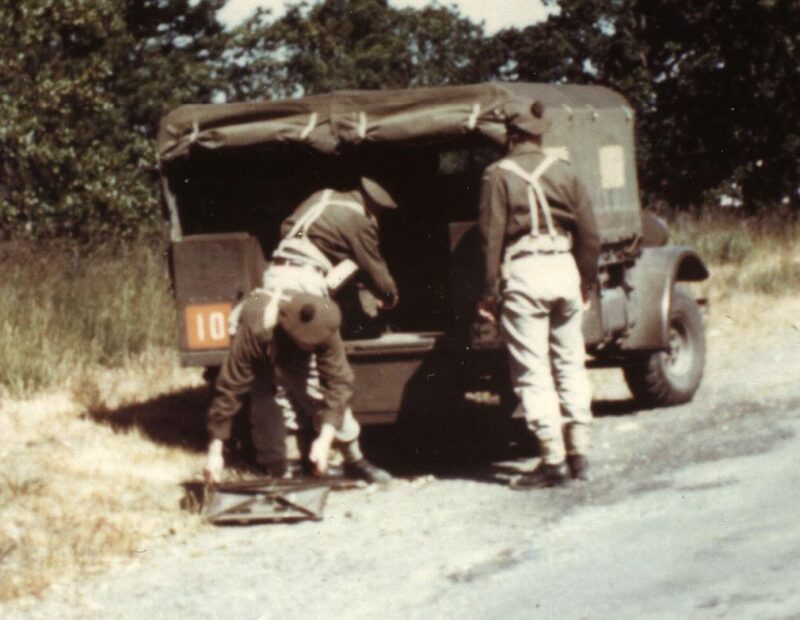 Circa 1944 original COLOUR photo of the 2nd Battalion, Seaforth Highlanders of Canada unloading a 3″ mortar from the back of a Cab 12 F-8 CMP (earlier known as a DND Pattern) truck. 8 Cwt = 1/2 ton cargo capacity cross country in effect. This is the long box model. The “10” is a unit sign as far as I know. Just under the left hand of the man standing on the right one can see the first part of the British Columbia licence plate. Military licence plates in BC started with the letter “N”. “Old Bill” a 1943 Canadian Military Pattern, Cab 13, C15 (Chevrolet, 15 Cwt, 4×2) This one was used by the British Army with British Army WD # Z5453378, rebuilt by them in 1948 and sold with 200 miles on the new odometer. Authentic markings for the Seaforth Highlanders of Canada were added. Bought by Bill Legh surplus in the South of England and brought to BC, Canada. He put about 1,000 miles on it. Colin Stevens bought it from his estate and later sold it to Brian Wood who later donated it to the Canadian War Museum. They have since sent it to the Lincoln and Welland Regiment’s Museum in Niagara-on-the-Lake, Ontario. By coincidence this is the “family” regiment as my father, grandfather and great-uncle all served in it. “OLD BILL” – A CMP collector’s dream machine. September 1943 Chevrolet CMP Cab 13 when it was owned by Colin Stevens. The WD number on the door is original to this truck. This truck was made on Contract SM6050 with SCWE (Special Cold Weather Equipped) for the British Army and served overseas. It was totally rebuilt by the British Army in about 1948, had a new WWII engine put in (and the data plate was modified for the new serial number) then sold surplus with 200 miles on the new odometer. See the story and photos of when I acquired it in Wheels & Tracks issues 16 (before the unveiling) and issue 17 (a full page coverage). The magazine ceased publication when writer/publisher Bart Vanderveen passed away. 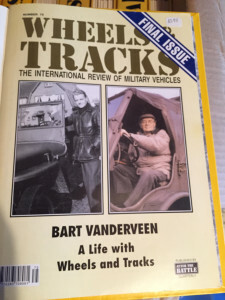 Wheels & Tracks – cover of final issue. When I bought it, it had only about 1,200 miles on it, was up on blocks, cocooned and test run each year by Bill Legh, the Englishman who had bought it in southern England and brought it back to Canada in the late 1940s. He had the C-15 Parts and Maintenance manual MB-C2, and the tools were in the toolbox. The bows are original to this truck as are the wartime tires. The markings on the truck (including roundel on the roof of the cab) are added by me and are for my regiment, the Seaforth Highlanders of Canada in Italy in 1943-44. Roundel on the cab roof, unit sign 61 on green, formation sign 1 Cdn Infantry Div (gold maple leaf on red) and unit serial 37/1. The WD number Z5453378 is the original one for this actual truck, found on both doors under black paint applied when it was sold surplus. .
Gary Moonie restored the cargo box for me in trade for a 2B1 cargo box to use as a pattern for restoring his prototype Ford 15 Cwt. Brian Wood later bought this truck from me as I wanted to downsize to a jeep again, and Brian later donated it, along with about half a dozen other CMPs, to the Canadian War Museum in Ottawa, Ontario, Canada. It was on display in Vimy House. 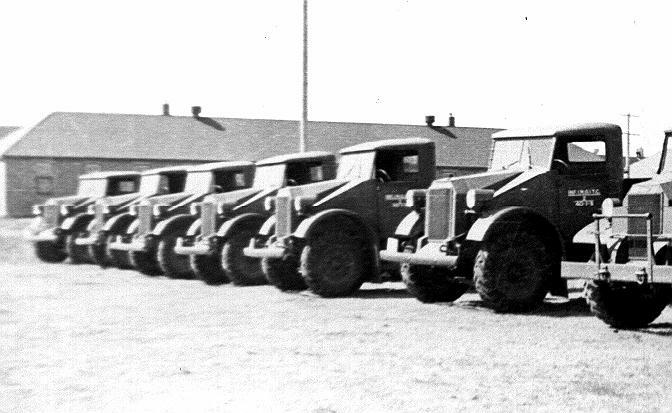 Prototype trucks of what became the CMP were made by Ford, Chevrolet and Dodge in Canada. Prototypes and pilot models were made in the late 1930s by Ford and Chevrolet. About late 1941 or sometime in 1942, Dodge also made a prototype CMP (or a handful of them) in Cab 13 style and I have found a photo of one of these in the 1945 DESIGN RECORD. Some collectors feel that they simply put a Dodge badge on the grille of an existing truck. I believe that PROTOTYPE refers to the first specimen made. Then the military would make PILOT models for testing. If these were successful, the military would fine tune the design, and then go into PRODUCTION. Some people, including myself, have used the term prototype loosely. If anyone can help to clarify the differences between prototype and production, I would appreciate it. My best guess at this time is that about 8 Ford ‘pilot’ models were made. At least two and probably 3, and maybe as many as 6 or 8 Chevrolet pilot models were made. Ford Pilot Model 4×2 15 Cwt. 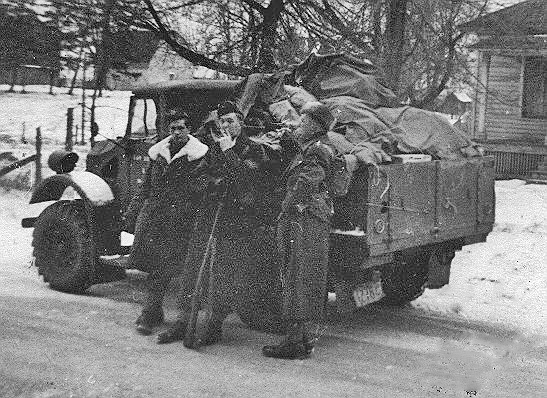 serving with Linc & Welland Regiment, January 5 1941 Lieutenant Arnott Hume (“Pete”) Stevens on the right. He is my father. The Ford Pilot Model 4×2 15 Cwt. saved by Gary Moonie and now restored and owned by Don and Katrinka Gordon of Victoria, B.C. Photo shows it early on when Gary Moonie had it. The first known survivor was in the Gary Moonie collection in Victoria and is now in the collection of Don and Katrinka Gordon. They have restored it. Chances are VERY high that it is the one shown beside my father in 1940 and the Lincoln & Welland Regiment was sent out the Nanaimo, BC soon after the photo was taken. The truck was found on the Saanich Peninsula I believe, just north of Victoria, an hour or two south of Nanaimo. Photo No. 282 page 199 BLUEPRINT FOR VICTORY by Dr. Bill Gregg. It has since been restored by ____in Victoria. Another Ford Pilot Model 4×2 15 Cwt. was found in Alberta and went into the Bill Gregg collection in Ontario, and thence to the RCA Museum in Shilo, Manitoba. A third Ford Pilot Model 4×2 15 Cwt was found by Jim Fraser (?) of Arnprior in Ontario in the CFB Petawawa area? It is now in the Canadian War Museum. The last digit “7” (?) is indistinct. The photo appears in the book DRAGOON (History of the RCD) Chapter XIII Photo # 162. The second photo is # 169. Gunner Rennels and C Battery Motor Transport (15 hundredweight) Shilo, Manitoba, 1939. This appears to be a hard roof 1938 Chevrolet pilot model. Photo from page 94 of THE CANADIAN GUNNER 1973 in story “Ball Buttons” by Captain E. H. Chamberlain, RCA (retired). The photos and stories were his own memories and souvenirs. FASCINATING! I have the booklet in my collection. The above scan is only from a Xerox of the article. 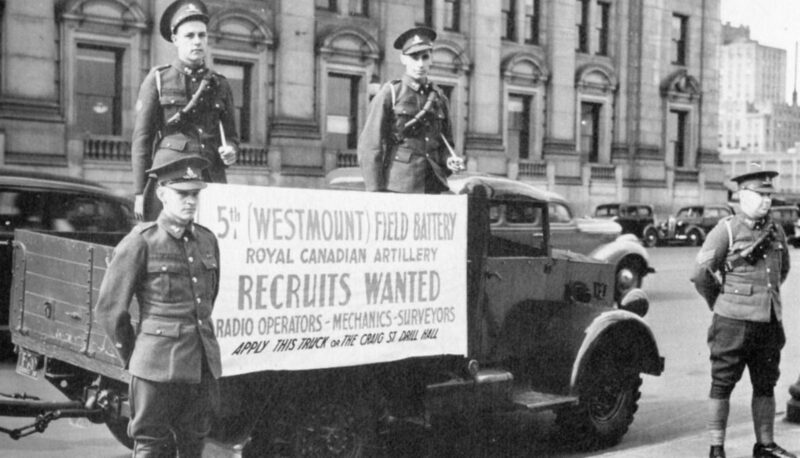 5th (Westmount) Field Battery, Royal Canadian Artillery recruiting, apparently in September 1939 in Montreal. The truck is a Chevrolet 1938 prototype or pilot model and is painted in a glossy colour, probably a dark green. Note that it is towing something, probably a limber and 18 Pr cannon on rubber wheels. 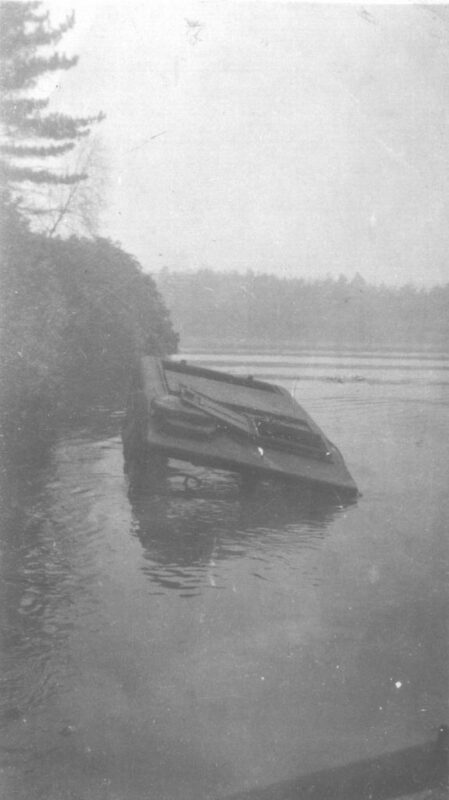 This photo appears on page 23 of “A NATION FORGED IN FIRE – Canadians and the Second World War 1939-1945 by J. L. Granatstein and Desmond Morton”. Photo is from the Punblic Archives of Canada number PA-129610 I believe. Chances are VERY high that it is one of the two trucks pictured above in use by the Westminster Regiment in BC in 1940. 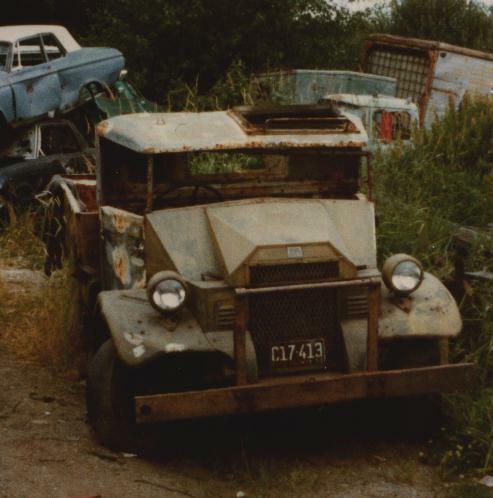 Prototype or pilot model Chevrolet 15 Cwt as found in Kelowna by Albert Siemons. The chances are very high that it is one of the trucks in the above photo – the odds being perhaps 1:4. It was offered to me and I was sorely tempted as it is the ONLY known survivor and is a national treasure I believe! I resisted however and told the Canadian War Museum. They bought it. It is now at Vimy House in Ottawa. The civilian (?) flat deck had been removed by Aug. 2001. CHEVROLET 1938 TRUCK AS SHOWN ABOVE, NOW AT THE CANADIAN WAR MUSEUM . It has not yet been restored as far as I know and it likely still sitting in storage. 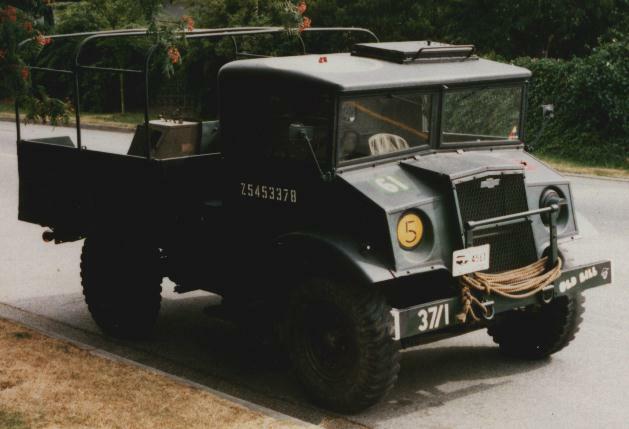 Chevrolet Polit Model 15 Cwt 4X2 as found in 1996 in the Kelowna, B.C. area by Albert Simons. Photo of a Ford being assembled circa 1940 with Chevrolet axles. From Bill Gregg’s book BLUEPRINT FOR VICTORY page 75. April 1940 DND (later CMP) vehicle manual. What is fascinating about this is that it is published JOINTLY by Ford and Chevrolet! As well it is published in April, yet the production did not start until May. This means that the vehicles illustrated HAVE to be pre-production pilot models. Interesting. (Colin Stevens’ collection). 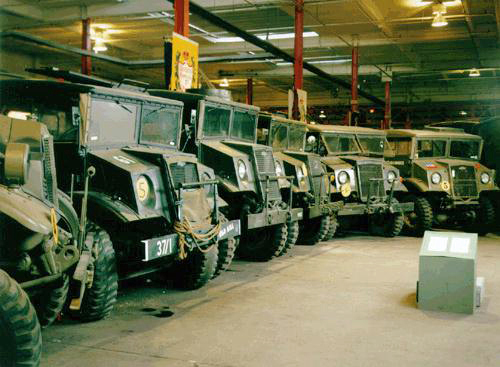 CANADIAN MILITARY PATTERN (CMP) vehicles were designed and built in Canada in World War II. At first they were built for the Canadian Army and were called DND pattern. 1940 DND Pattern (CMP) Cab 11 field artillery tractor. F-8 as found by Colin Stevens on a farm near Estevan Saskatchewan. It was purchased for $50. Early Ford F-8 as found in Estevan, Saskatchewan on a farm in very dry country. The PASS plate holder is still fitted on the left (port) front fender. Note that the short box was extended and the gas tanks are mounted as on the Cab 12 long box version. I cannot recall at the moment if this was a Cab 11 or Cab 12 truck. Rigid mirror arm and short box suggest that it is Cab 11. Ron Hammond of Moose Jaw, Sask., has restored it with the later Cab 12 “long box”. 1941 CMP Cab 12 – F-8 8 Cwt. 4×2 Similar to Cab 11 but windshield opens, doors have hooks to lock them open for cooling, roof hatch for observer, radiator cap not exposed, alligator hood. This one was made on 11/11/41. NOTE: The bows on the F8 & C8 are VERY different from those on the 15 Cwt trucks. 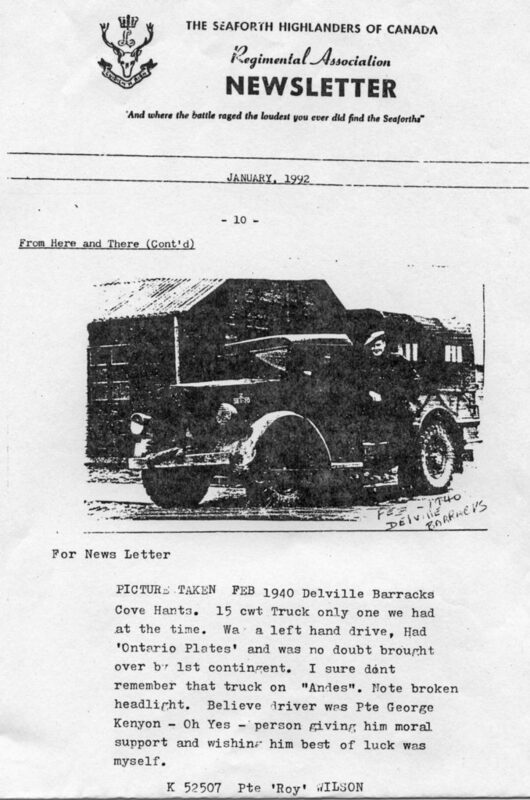 CMP Cab 13 (photo from WWII Chevrolet maintenance manual MB-C1) built from 1942 through 1945 . This is the most famous look of the Canadian Military Pattern vehicles. Data plates are the first thing to look for. One early models they are often on the engine cover inside the cab. On late models they are usually on top of the dash over the instruments on Chevrolets, and on the driver’s door inside near the top on Fords. If data plates are missing, Fords have year marked on ‘back’ of pintle hook. One can see it by climbing under the truck, and looking at the rear of the pintle hook. There is a circular hole in the mounting plates and one can usually see “FM Co 43” for example (as I recall, it is some years since I have looked). This example would be Ford Motor Company 1943. Cab 11 (1940 model) – Fixed windshield, no roof hatch, small hinged panel to access engine from outside. Suicide doors (hinged at back). Cramped cab. Headlights standing separate and on fenders (giving them the nickname “Monkey Face” down in southern regions of the world. Cab 12 (1941 model)- The Cab 12 is basically the same as Cab 11 but had minor modifications done in response apparently to user feedback (aka complaints), especially from the North African desert. As per Cab 11 but windshield opens a few inches as a single unit, some models have a roof hatch. Large hooks on doors so they can be propped open about 6″. “Alligator hood” – better engine access. Vents incorporated on each side of radiator grill to provide moving (not necessarily cooler!) air to the cab when driving. Cab 13 (1942-1945 model)- Total design change. Much roomier. Reverse slope windshield, doors hinged at front, headlights buried inside cowl. Some later models (1944-5) had round roof ‘hatch’ of canvas for observer. Early models of Chevs had “cluster” instruments and later models had separate round instruments. 8 Cwt (1/2 ton) – Tires 9.00×13 or 9.25×16 on HU 4×4 models. 101″ WB. No step under door to get into cab. 15 Cwt (3/4 ton) – Tires 9.00×16. 101″ wheelbase. “Z” was letter code at beginning of DND or WD number painted on the door. This was for trucks 8 Cwt or 15 Cwt. “L” was for Lorry which was the category for 3 Ton (60 Cwt). There are many other letter prefix codes but those are the most common. This page is not the complete story. I have created a bit of an overview and have put in photos and information that you will basically not find elsewhere. Initially these vehicles were based closely upon British War Department vehicles, but eventually Canadian designers convinced the authorities to allow them to use North American production techniques and design. Seaforth vehicles hit my enemy mortar bombs. CMP 15 Cwt and a jeep. Colin Stevens once spoke to the driver of the 15 Cwt that is shown in this photo but sadly I did not record his name. Canadian Army CMP 15 Cwt towing a 6 Pr anti tank gun in WWII. (DND photo 34655). C15A Cab 13 of the Carlton and York Regiment (unit serial 43/1) in Sicily (or Italy) during WWII. It is towing a 6 Pounder anti-tank gun. The cleaning ramrod is lashed to the top of the truck. Bren gunner is sitting on spare tire. Note that on Canadian production CMPs, the hatch was for the observer to watch for enemy aircraft etc. The markings include what appears to be a roundel on the roof for air recognition, and very sloppy markings! Note the jeep in the crowd on the left. DND photo (cropped) 24170. German Afrika Korps CMP 3 ton lorries, captured from the British in North Africa. On left, cab has been removed and it is dull of German troops. On right, a Chevrolet is burning and with a broken back. Sorry for poor quality, they are scans of Xeroxes from books. For more such photos, look at books on the history of the Afrika Korps. Royal New Zealand Artillery with a CMP field artillery tractor in Korea during the Korean War, towing a 25 Pounder cannon and limber. 1941 photo from MacLean’s magazine showing a Cab 11 CMP field artillery tractor in training towing a limber and 18 Pounder (with rubber tires). After the British lost most of the vehicles at Dunkirk in 1940, they suddenly needed more vehicles and so ordered thousands from Canada. What had been known as Department of National Defence (DND) Pattern now became international in distribution and so now became known as Canadian Military Pattern – CMP. These two images MAY be slow to load. Be patient, they are worth the wait! Types of bodies for CMP 15 Cwt trucks. Two sections from the late Dr. Bill Gregg’s SUPERB book “Canadian Military Vehicle Profile Series” This was Volume 2 of his trilogy on CMP vehicles. The RCA Museum in Shilo, Manitoba is selling the remaining stock of his books. These books are well worth buying. Other countries also ordered Canadian made vehicles. During the war, these included the UK, Australia, South Africa, New Zealand, India, and the USSR (after they changed sides in June 1941 when their ally Hitler turned on them). The US military used CMPs in the Philippines when the Japanese invaded. These vehicles had been diverted from delivery to the Canadian troops in Hong Kong who had surrendered after bitter fighting in late December 1941. By the time of the final battles in North Africa in 1942-43, over 80% of the soft skin vehicles used there by the British and Commonwealth Forces were Canadian made! Dutch cartoon by Nieuwenhuys of CMP in Holland in 1945. From “daag The Canadian Army in Holland” It shows a CMP Cab 13 15 Cwt. After WWII, Canada selected the 15,000 best vehicles and brought them back to Canada. Those that were left in Europe or elsewhere were sold off surplus or given to other countries. As well, after WWII the United Nations stepped in to help the devastated nations rebuild and supplied thousands of surplus military vehicles (including many Canadian examples) to countries such as Czechoslovakia and Poland. As part of NATO (North Atlantic Treaty Organization), Canada gave several divisions worth of artillery and vehicles to allies such as Belgium and Italy. Those 15,000 excellent condition vehicles, and the spare parts, were mostly sent back overseas once again. UNFORTUNATELY the result of this is that MOST Canadians have never seen a CMP vehicle and would not recognize one. Many assume they are a British truck. Ironically the CMP vehicles are more common and better known in places such as Myanmar (Burma), Australia (“Blitzes”), New Zealand (Puddle Jumpers or PJs), Argentina (camiones Canadensis), the UK, Holland, Norway, Belgium etc. May 1979 photos – Albert Beach’s F15 as found by Colin Stevens I first saw it in May 1978 – on a rainy day – following a tip from Bernie Nash. I have colour slides of it looking the same – but wet. It was sitting in Mr. Beach’s cow pasture, 10 miles north of North Battleford, Saskatchewan. It is a very early F15 (about May 1940) as it does not have the cooling vents on each side of the radiator. It would have had the wooden tool box, no spare tire carrier, and rounded rear wheel arches cargo box 1B1. Last run circa 1975, it was not for sale in 1979. It may still be there. The old DND number was 42-1-??? and new DND number was 72-??? (last parts were painted over). The Formation sign was a yellow (?) maple leaf on a light blue (?) background (possibly 3rd Cdn Div before they went overseas?). The unit sign was blue “11” on white (?). F-8 found by Colin Stevens in the late 1970s in Saskatchewan. 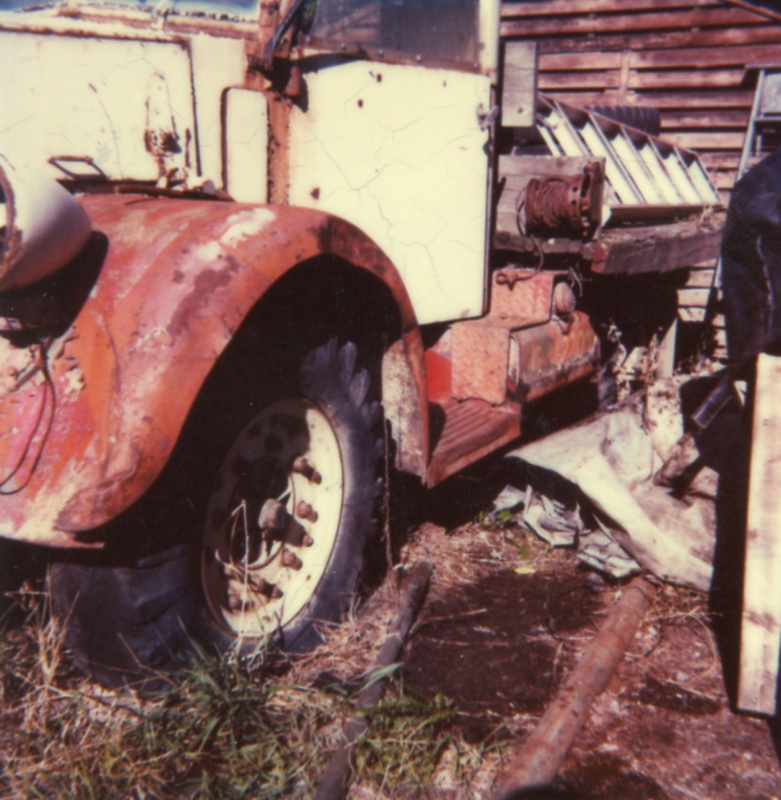 Photo taken after Mickey Zwack had salvaged it and brought it to his farm in Prince Albert, SK. 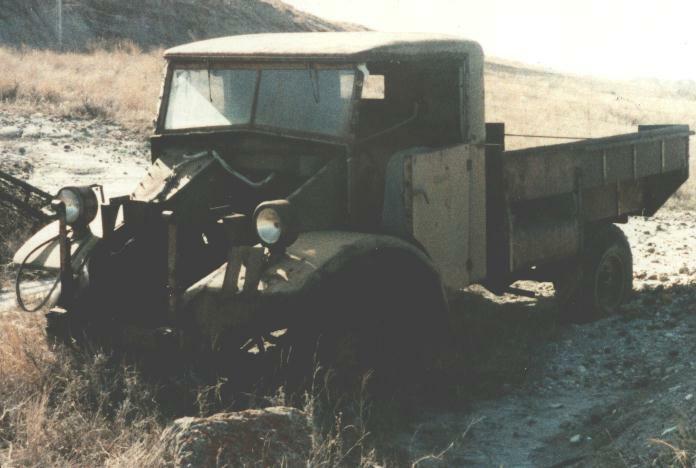 1942 CMP Cab 13 F15A found by Colin Stevens 6.2 miles north of Glasslyn, Saskatchewan in August 1979. I mile south of gas station & store. Off to west of highway, just north of a trailer home. It was owned by Mr. Harrison. It was not for sale at the time but … Chassis F15441-M; Chassis Serial Number 47638; Engine SN 3G-28734-1; Contract CD-312; Built May 4/42. DND number on door “Z” over “54-007”. Other markings there but were painted over. CMP Cab 13 15 Cwt as found by Dr. Bill Gregg. One could still read the markings on it. Doors still marked P.O.W.R. (Prince of Wales Own Regiment). Silver painted Cab 11 CMP FAT is the one that Bill Gregg traded to CFB Petawawa. Note that the back centre section was cut out. The large white rectangle has CAUTION RIGHT HAND DRIVE NO SIGNAL (or SIGNALS?). The red 3 leaf cloverleaf on a white circle for No. 2 M.D. is visible as the formation sign on the right. This truck is now in the RCA Museum collection at CFB Shilo, Manitoba. It was tremendously important because it was complete and had all of its original markings. I hope that it has been preserved this way. Very few have been fully restored in Canada. One problem is that tires and parts are VERY hard to find. Most CMPs found in Canada have been worn out and butchered on farms, logging camps and mine sites. Some of the better collections in Canadian museums include the Canadian War Museum in Ottawa, Ontario, and the RCA Museum in CFB Shilo, Manitoba. CMPs can also be seen in the Ashton Garrison Museum in Victoria BC and other places. Special thanks to two great Canadian patriots who personally saved many CMPs and then donated them to Canadian museums. Dr. William Gregg (who passed away in 2000), of Rockwood, Ontario and Brian Wood of Vancouver, BC. In memory of my good friend Peter J. Ford. Click on the thumbnail images to see the full size. Peter was the publisher and author of CMP-INFOEX which listed thousands of Canadian made vehicles, manuals, contract numbers etc. Peter will be greatly missed by the military vehicle preservation fraternity. Colin Steven’s C15 which had come back from the England. Original DND Z5453378. Peter J. Ford beside “OLD BILL”, an ex-British Army 1943 C15 SN 3842120976 original WD # Z5453378 built in Canada on contract SM6050 belonging to Colin Stevens and now in the Canadian War Museum where it has sat for year on top of a bridge-laying tank behind the VIP stand. 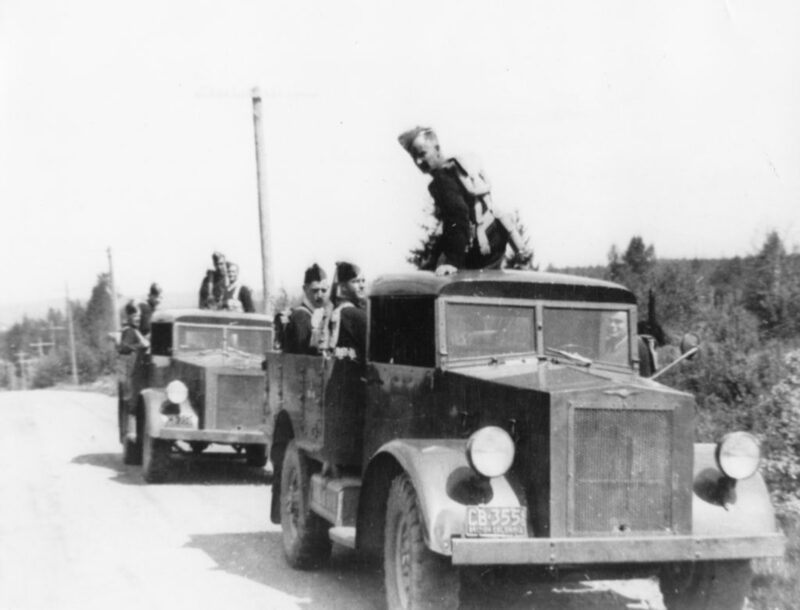 Saskatchewan Army Vehicle Enthusiasts (S.A.V.E.) June 1986 at Moose Jaw Air Show. Left to right: Don Overs; Rick Yuke; Colin Stevens; Peter J. Ford; ____? ; Ron Hammond. Ford wiring diagram Cab 11 from March 1940 Operator’s Manual. Chevrolet wiring diagram Cab 11 from March 1940 Operator’s Manual. Ford CMP Cab 13 controls. Ford CMP Cab 13 controls identification. Photo of spare tire carrier and a bow on a September 1943 C15 made for the British Army and actual WD # Z5453378. This truck is very low mileage and original. It belonged to Bill Legh, then Colin Stevens, then Brian Wood. Note the details of how the bow attaches to the side of the cargo box. The hook goes on the inside, and the tubing of the bow fits between the two metal plates welded to the side of the truck, end then goes into a socket that is welded to the side of the cargo box. 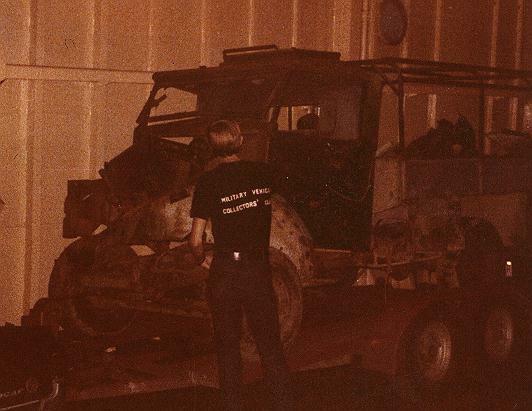 The metal guide plates are visible on the cargo box on the truck in the right of the photo. Note too the profile of the bow at its bottom end. Lube Chart for Ford 6×4 F60H CMP lorry. CMP “CAUTION TO DRIVERS” decal. These would likely be stuck on the inside windshield, at the bottom, facing the driver. (from image in a manual, probably MB-C2). CMP Ford F-8 as found in Surrey BC Canada junkyard by Colin Stevens. Made Nov. 11, 1941.